She was shaken when she addressed the press and spoke of the murder of our ambassador and 3 other Americans in Benghazi. I am certain a portion of that grief was for those who were lost. But equally certain is that Hillary was also grieving for what may have been her lost political career. A 2016 Presidential candidacy seems to be floating away from Hillary. Her 3 o’clock phone call didn’t go so well. And the twirling and whirling after the raid with the Susan Rice and Jay Carney faux reasonings created more political damage for Hillary. The movie? Really? Until that sorry episode, and all the other raids that led to our embassies being breached, Hillary was somehow receiving high marks for her tour of duty as Secretary of State. Yet, it is difficult to list her successes. Given, that much of diplomacy is conducted in quiet channels out of the eye of the public, we can notice that which is evident. According to their recent declaration, North Korea now has missile technology that can reach US soil. Iran is on the brink of having a nuclear weapon. Pakistan is in a state of diplomatic flux. Israel holds our allegiance in doubt. And the untenable situations of Iraq and Afghanistan remain, untenable. Syria? Egypt? Being Secretary of State is tough duty and perhaps merely keeping the status quo is a victory and a job well done. But, accolades laid at the pumps of Hillary for good performance appears more suggestive than actual achievement. Brought to light is evidence of fact blocking and media control conducted in order to shift reason or avoid blame. Misinformation for political purpose is a tactic in Hillary’s tool kit. Too bad arming Marines with live ammo to guard our embassies is not. The Benghazi incident brought home the gravity of making decisions in high places. Denying security requests to embassies to maintain appearance and instead guard the feelings of others, has resulted in dead Americans. Under-defended embassies are grave absurdities in a real world. Imagery should not guide foreign policy. Hillary’s political career may have ended with what most likely was her serving that political imagery rather than the security needs of her personnel in the field. 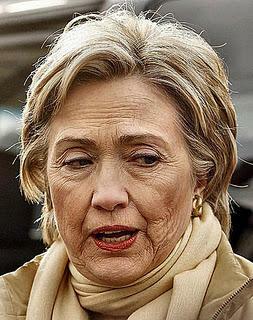 The final casualty of Benghazi is Hillary Clinton’s Presidential aspirations. RIP.